Here’s everything you need to know about the 3rd T20I between South Africa and Pakistan from Supersport Park, Centurion. 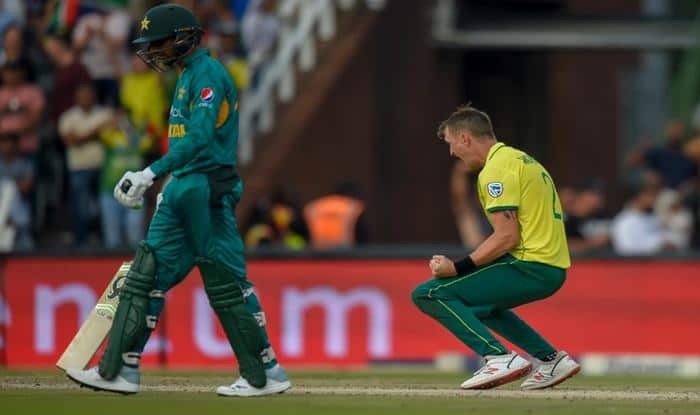 South Africa vs Pakistan 3rd ODI Live Streaming: After conceding the series by losing the first two Twenty20 Internationals by slim margins, Pakistan will leave no stone unturned to go all the way in the third and final match against South Africa. The scoreline doesn’t really reflect how close were the first two matches between the two sides, but South Africa have just been able to close out games better, earning themselves a series victory. The third T20I might go down as a dead-rubber. But, for Pakistan – a clean-sweep may not topple them for the number one spot in the T20I ranking, but to a certain extent, it will take away their bragging rights of being the best side in the format. In the first match in Cape Town, the visiting side did well enough to get within six runs of South Africa’s 192. Then in Johannesburg, they seemed in complete control in their chase of 189 after Babar Azam’s 90 and Hussain Talat’s 55, but a flurry of wickets dented their momentum and they eventually lost out by seven runs. Pakistan batsmen’s biggest nemesis has been Andile Phehlukwayo, who used crafty, deceptive slower balls mixed up with the occasional yorker, Phehlukwayo has managed to keep the explosive Pakistan batsmen at bay. He masterfully defended 15 off the final over in the previous game, conceding just seven runs and taking a couple of wickets too. When and at what time will the 3rd T20I between South Africa and Pakistan will start? The 3rd T20I between South Africa and Pakistan will be played on February 6, the match will start at 9.30 PM (IST). Where is the 3rd T20I between South Africa and Pakistan will be played? The 3rd T20I between South Africa and Pakistan will be played at the iconic SuperSport Park, Centurion. Which TV channels will broadcast the live coverage of the 3rd T20I between South Africa and Pakistan? The 3rd T20I between South Africa and Pakistan will be broadcasted live on Sony Sports network in India. The free online live online streaming of 3rd T20I between South Africa and Pakistan will be available on Sony Liv app and Jio TV.